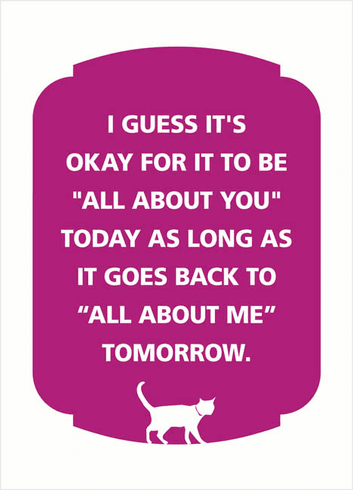 Outside: I guess it's ok for it to be "All About You" today as long as it goes back to "All About Me" tomorrow. Inside: Happy Birthday. From me!